OperationROI addressed Fast Eddy’s primary goal by segmenting the products for optimal bidding strategies. Fast Eddy knew his customers and his products, but mastering a successful product feed and Google Shopping campaigns was a challenge. To address and improve upon his previous efforts we had to resolve some of the feed issues and develop a new strategy for his shopping campaigns. Phase 1: Optimize A Feed For Google Shopping…And Bing Too! Once we dug into his product feed to begin optimizing the attributes we found some major issues that needed to be resolved. We discovered many of the products were missing relevant and required data. A limited amount of the data was available from his website, but it was never configured properly for his feed. Unfortunately, much of the required data for the feed was unavailable from the website and would have to be created and merged with this existing feed. This extended the initial time it took us to launch all of his products, however, once his products were all optimized and successfully submitted to Google, there was an almost immediate increase in traffic and sales. The second challenge was keeping several thousand products listed on Google while keeping the ROI above our new goal. Like most online business only a small percentage of his catalog would convert sales on a regular basis, however, his target market, many kids, liked to window shop…a lot. It was important that we keep all of the products listed, yet reduce the costs generated by the window-shoppers and focus on his better selling products. Prior to hiring OperatioROI all of his products were grouped all together in one ad group that was underperforming. Instead of segmenting his products into new smaller ad groups we leveraged our in-house software to separate all of his products into Single Product Ad Groups. The initial upside of segmenting all of his products individually was the ability to lower the bids on his low-converting and low-dollar products. This allowed us to focus more budget on the top-selling products. Yes, this could have been achieved without segmenting all of the products individually. However, by using this strategy to segment his products to the product level, we now had much greater control of negative keywords. After a thorough analysis of his search terms, we were able to start adding generic search terms to many of the underperforming products that still got high amounts of traffic. 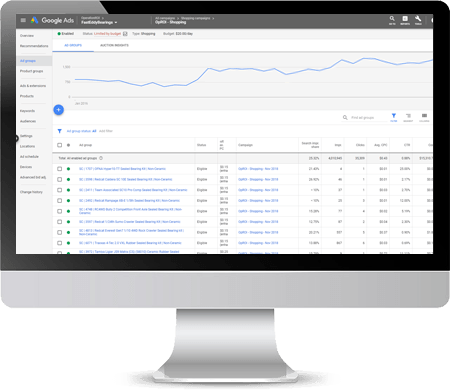 By adding these generic negative keywords to specific products we were able to drive generic search traffic to top performing products. With the increased traffic now being directed more to his top-selling products, the ROI started hitting the target goal. Thousands of conversions later and ROI is up well above the target goal. 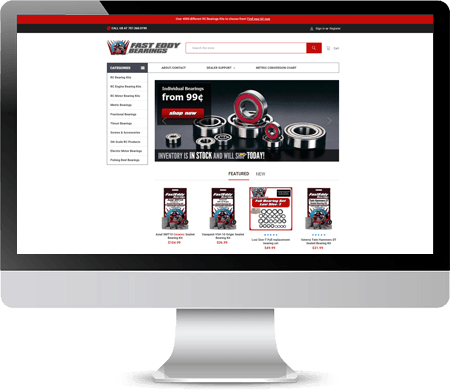 Once we successfully optimized the product feed to Google there was an improvement in search results. This increase in exposure lead to an almost immediate increase in traffic and sales. Then after segmenting all is his products into Single Product Ad Groups we had greater ability to focus on his top-selling products, keep the remainder of his catalog visible, and hit his target performance goals. The results, the average number of monthly conversions from Google Shopping is up over 500%. 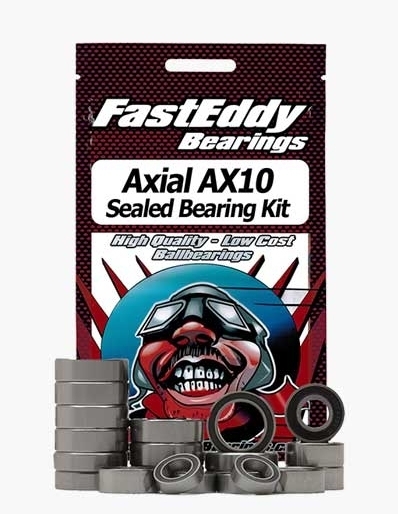 Fast Eddy Bearings has been a valued client of ours for over four years and we continue to help them grow their online business on Google and Bing!